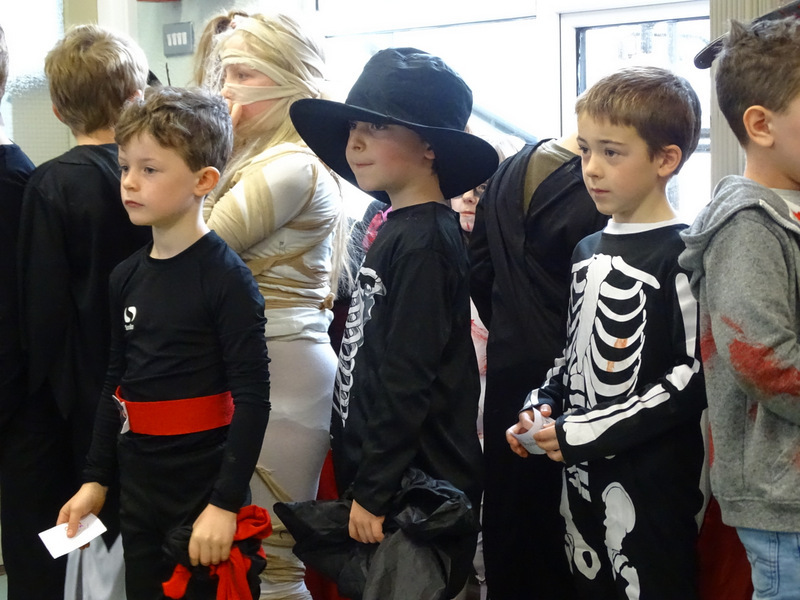 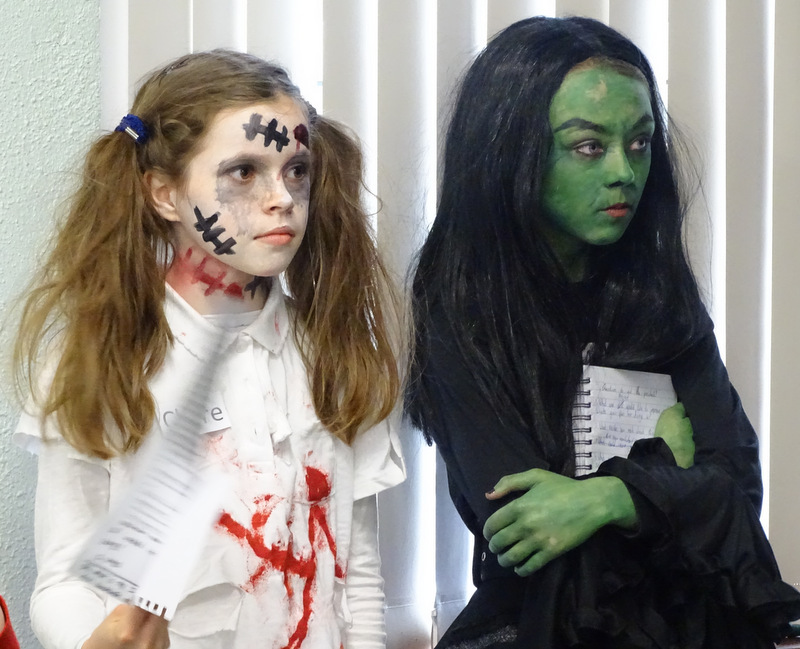 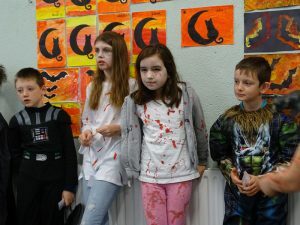 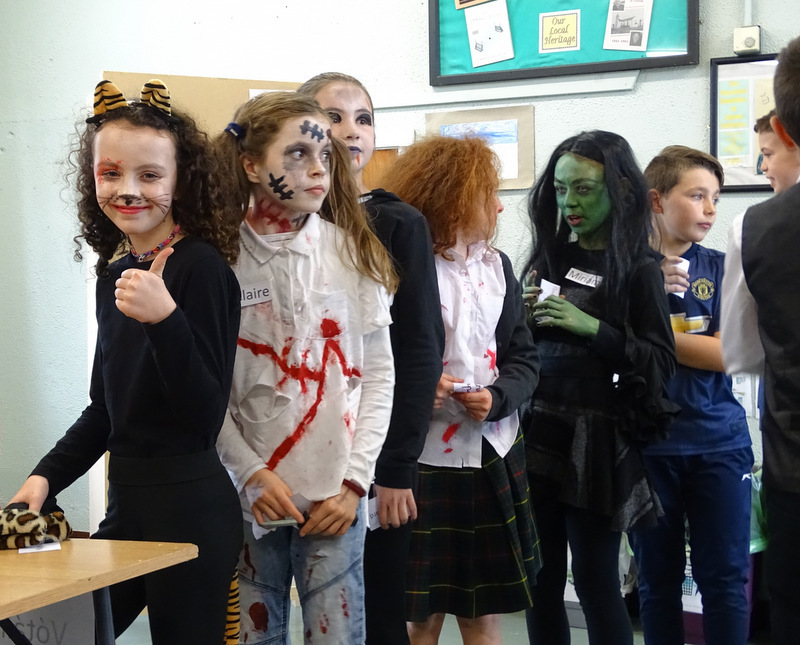 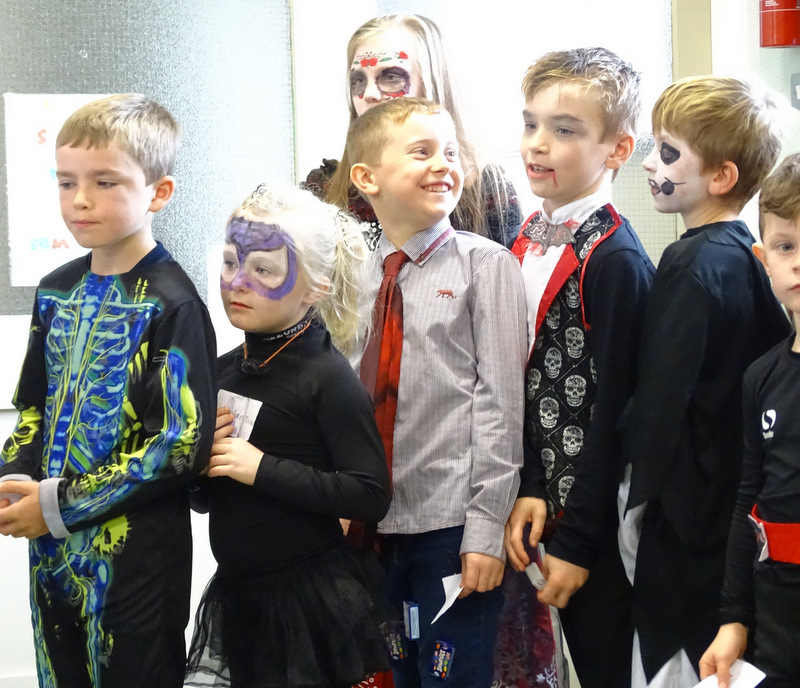 Pupils and staff dressed up for Halloween with such a great variety of creative costumes, plenty of fake blood and witches with green faces and hands. 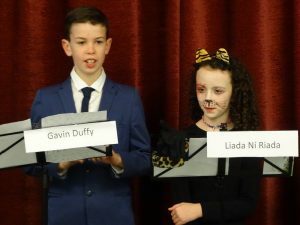 The presidential debate had the added extra of some candidates debating & presenting in their Halloween costumes. 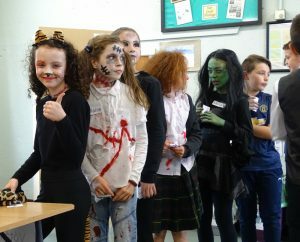 Voters lined up to cast their ballot in the election were very colourful in their costumes taking their voting very seriously. Presenters Claire & Miriam watch over the candidates ensuring fair speaking time for all. 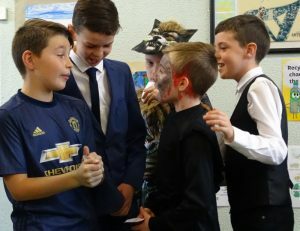 “Who are you going to vote for?”! 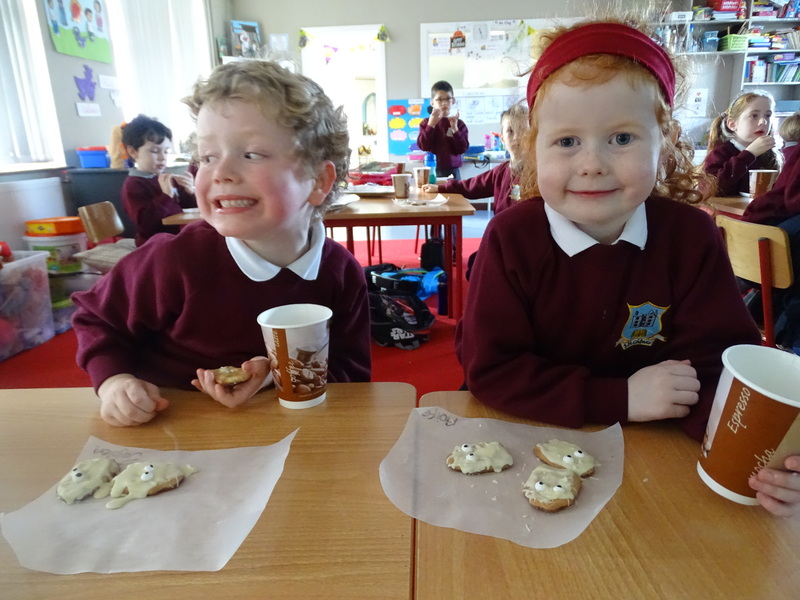 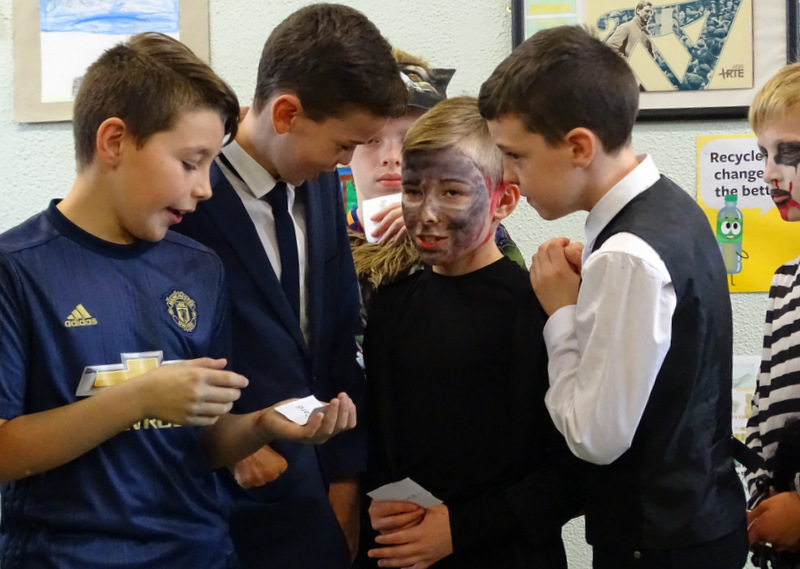 After the great presidential debate, all classes gathered in the school hall for some Halloween games, musical statues and enjoyed some apples and bairín breac. 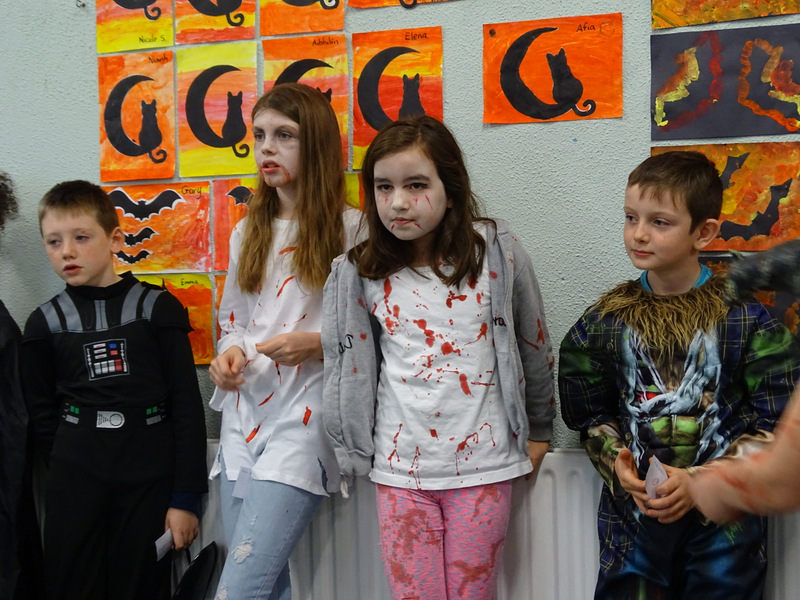 Take a look at some photos from the day below. 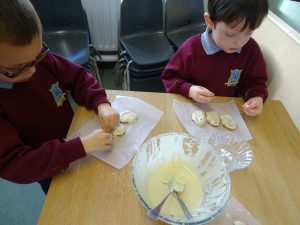 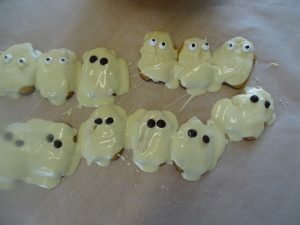 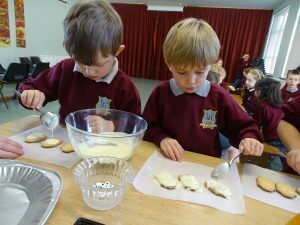 The infants were busy in the kitchen making some spooky Hallowe’en treats to enjoy!